Tickets may be gone but the Thunder will roll into Twin Lakes, Wisconsin starting this Thursday, July 19th. The four day music festival is the ultimate summer event for country music fans and will feature some of today’s biggest stars. Big & Rich, Luke Bryan, Jason Aldean, Blake Shelton, Toby Keith and more will all take the main stage to help Country Thunder Wisconsin celebrate its 20th anniversary! Several well-known artists will also be playing on stages set throughout the park beginning, each day, at 12:30pm. In addition to the hours and hours of music, festival goers can also try out the sling shot thrill ride and a variety of food and merchandise vendors. It’s going to be a fun time for all! If you are attending the event, please remember safety comes first. 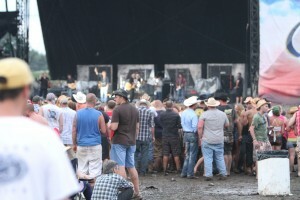 Country Thunder Wisconsin recently announced a fire ban due to the dangerous fire conditions in the County of Kenosha. All open fires are banned including no campfires, grilling with charcoal or week, fireworks or careless use of smoking materials until further notice. Propane grills are currently still allowed, but please plan your camping plans accordingly. Four day passes and single day tickets are sold out and there will be no ticket sales at the gate, but you can reserve your tickets for the 2013 festival now at www.countrythunder.com or by calling 866-802-6418. If you already have your ticket in hand for this year’s event, dust off those boots and get out your cowboy hat, its Country Thunder time! For the full lineup and more festival information visit www.countrythunder.com. No rest at Country Fest!